A wave of gruesome mass killings in North Central Nigeria on Sunday, March 10, has prompted more calls for a special envoy to Nigeria and reconsideration of the Trump administration’s policy to West Africa. Approximately 120 Christian residents in villages west of the city of Kafanchan, Nigeria, were shot and hacked to death by machete-wielding terrorists, according to press reports and eye-witness accounts of clergy attending the wounded survivors. ThisDay Live, a Nigerian newspaper, reports that herders of the Fulani ethnic group killed 85 in attacks Sunday and Monday in the Kaduna State in two governing areas. Clergy on the ground near the killings say the death toll is at least 130. 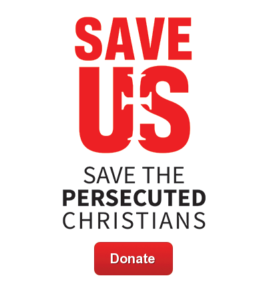 “Save the Persecuted Christians (STPC) condemns the appalling loss of life in Nigeria on Sunday due to ethnic cleansing of Christian residents in North Central Nigeria. We reiterate the call for the Trump administration to send a special envoy to Nigeria and the Lake Chad region so that greater resources from the West can assist the Nigerian military to remediate a worsening crisis,” said Dede Laugesen, executive director of Save the Persecuted Christians.